Over the course of the twelve year run, G.I. Joe had many varieties of footwear. Some were specific to certain sets, while others were available with multiple assortments. They even came in 'kid-sized' variety as shown in the spin above! As strange as it may seem to non-collectors there is often a good deal of debate among Joeheads about which boots are 'correct' for which set. This page will no doubt go through several revisions as a result of future discussions or discoveries, so if you want to talk boots, visit the Vintage3DJoes.com Facebook page or e-mail me! 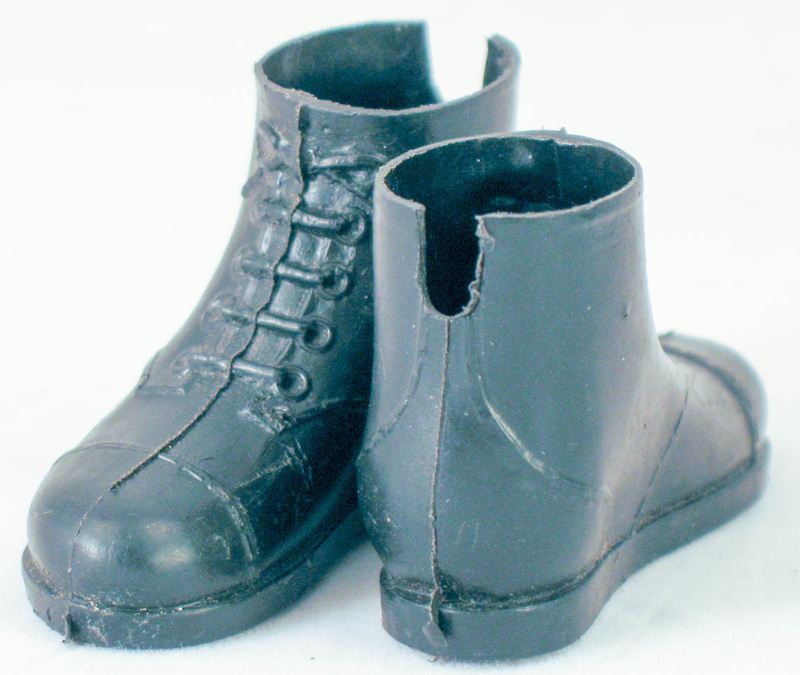 First Issue Rubber Boots- These harder to find boots came with the first figures issued in 1964 only, brown for the Soldier and Marine and black for the Sailor and Pilot. 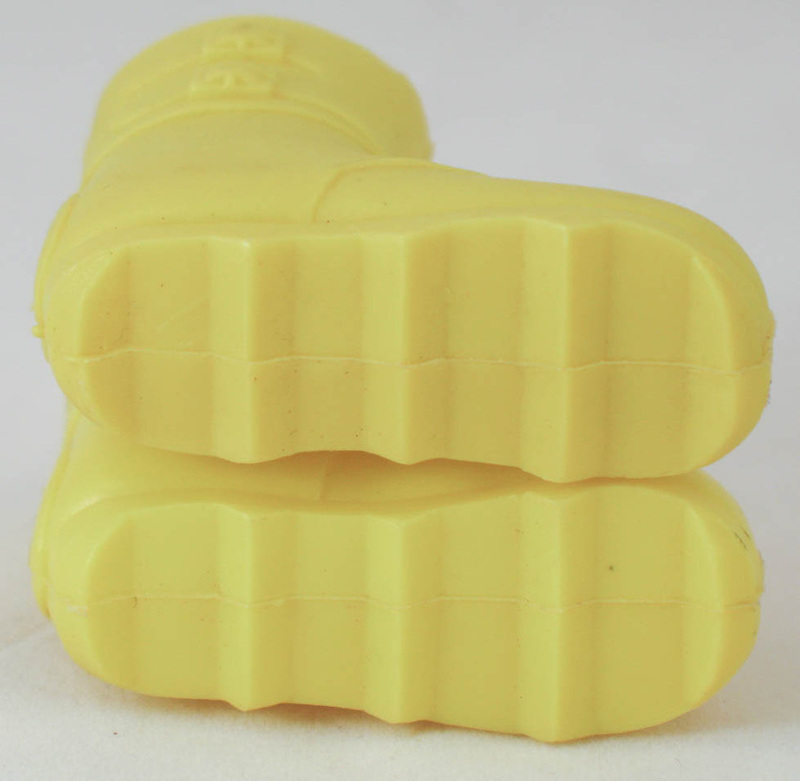 They have distinctive sharp molding and a round mold mark on the back of the sole reading simply "Hong Kong." The material shrinks and hardens in many cases, meaning many are damaged or unusable today. Standard Tall Brown and Black-The classic military era boot for GI Joe, these are blow-molded with a distinctive seam bisecting the boot. They appeared in 1964 and were in production through the military era. 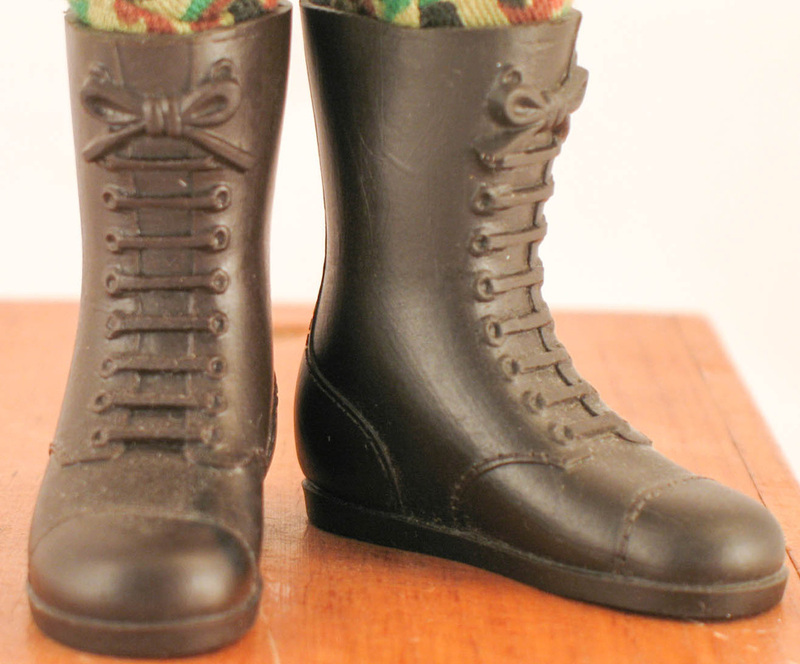 Boxed figures from 1969 are found wearing both these boots and short black boots, as are late-issue military figures and late issue military talkers. With a few exceptions the Adventure Team figures came with short boots only, so the tall boots were largely a thing of the past by 1970. Note the wide ridge around the soles. 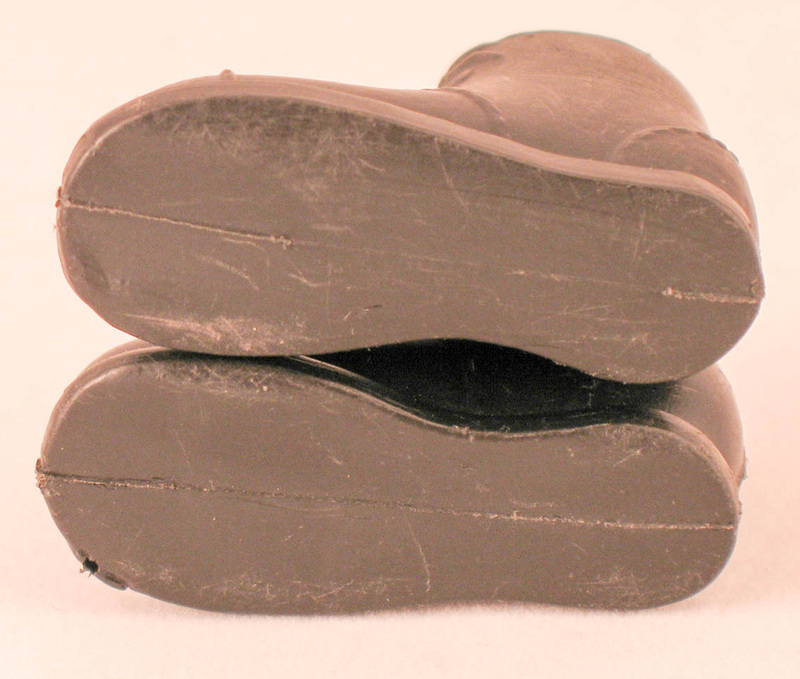 Narrow Ridge and Numbered Narrow Ridge Boots- Available on the Sailor, Marine, and Pilot Basics cards, these tall boots are similar to the ones above, though the ridge is thinner, as shown on the carded set immediately below. In 1967 numbered tall browns appeared with the Fighter Pilot, and numbed tall blacks with the the Airborne MPs. They are also narrow-ridged. The numbers may have ensured that sets got both a right and a left instead of two of the same boot. These may also have shown up on the Basics cards, though most appeared to be unnumbered. The numbered brown ones later came with the Adventure Team Skydive to Danger set, while the numbered black boots showed up in Fantastic Freefall sets. 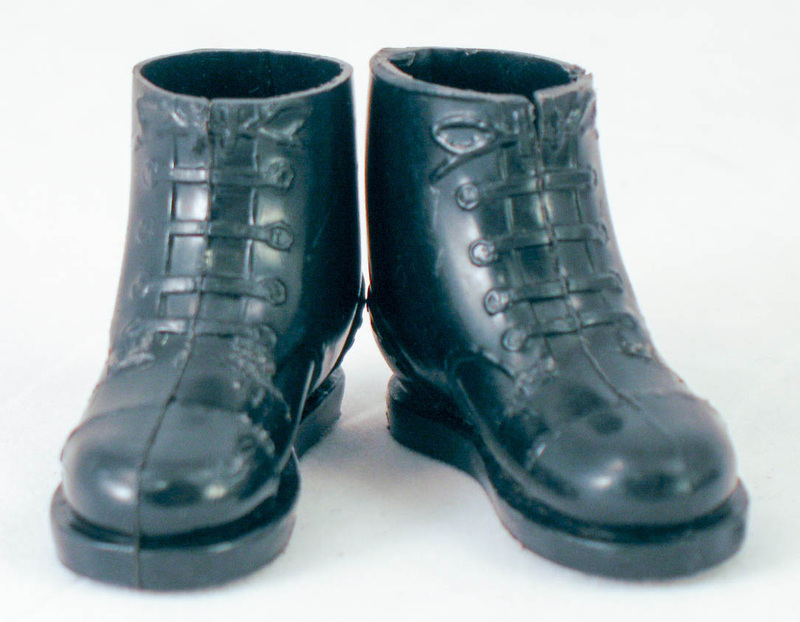 Jack Boots-First issued in 1966, black jackboots came with the German and Russian SOTW figures. They later showed up on the Action Joe State Trooper figure, though some say this figure came with numbered jackboots. 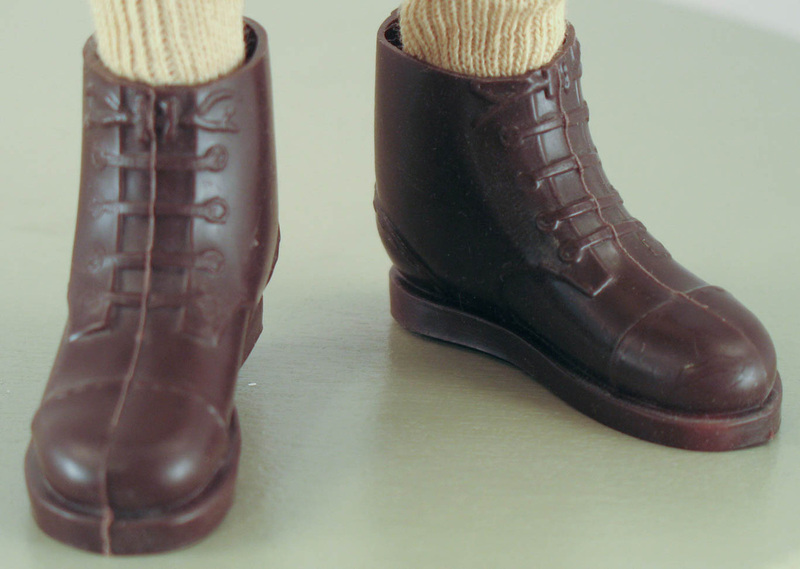 The brown jackboots are tough to find and came exclusively with the 1967 Canadian Mountie set. It is said the mountie also may have come with black jackboots or standard tall brown boots, though I am unaware of any packaged examples that prove this. 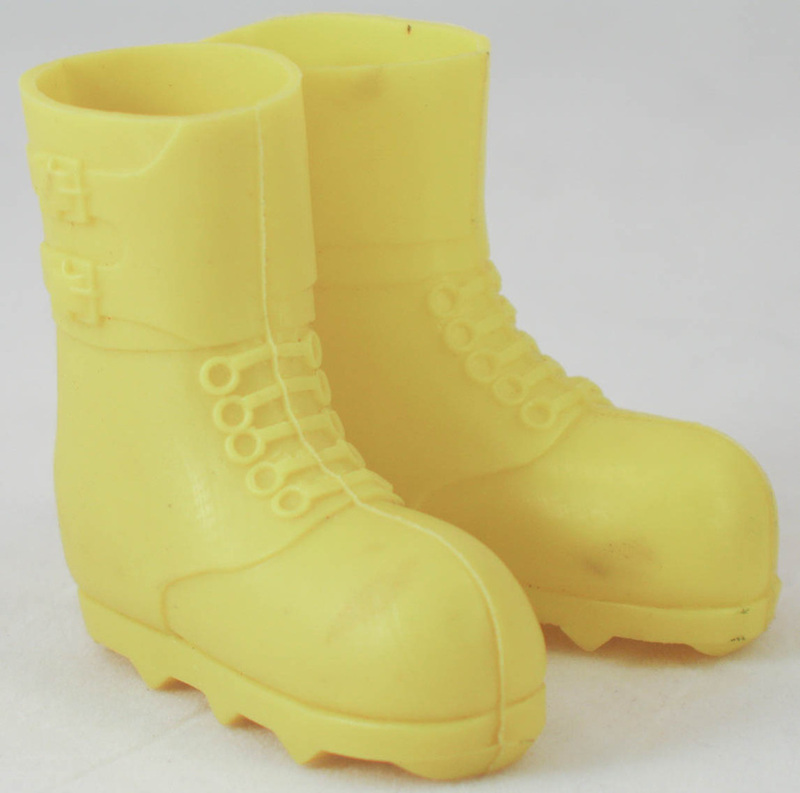 Waffle Boots-Originally sold in the Deep Freeze set, these were also used on most of the 1969 and Adventure Team Talking Astronaut figures. They also came with the Search for the Abominable Snowman set. They were re-issued in 1970 molded in yellow with the Flying Space Adventure set. 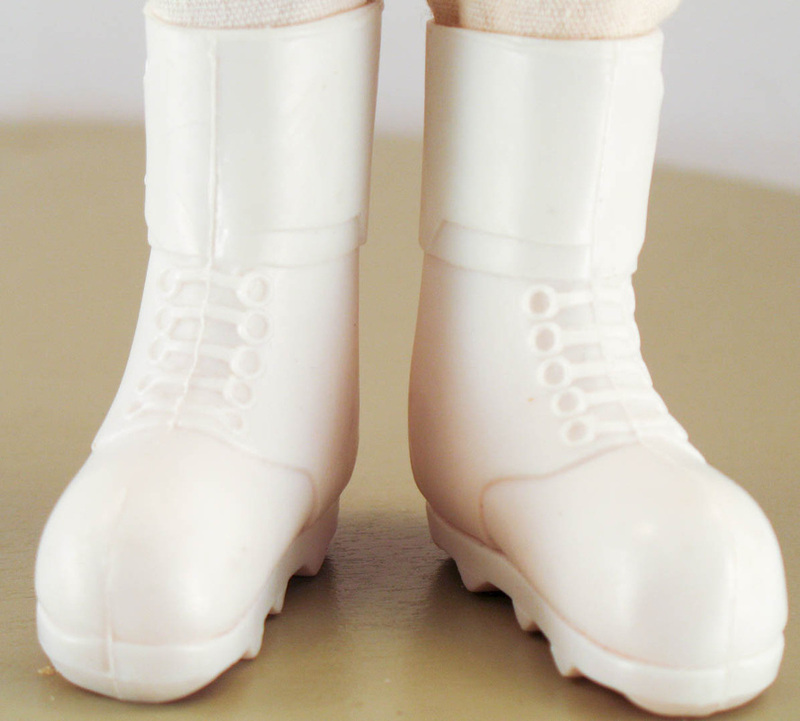 Tall White Combat Boots- Often said to have first been issued with Deep Freeze, there have been no packaged examples shown to verify this. They seem only to have been issued with the first run of the 1969 Astronaut and are tough to find. 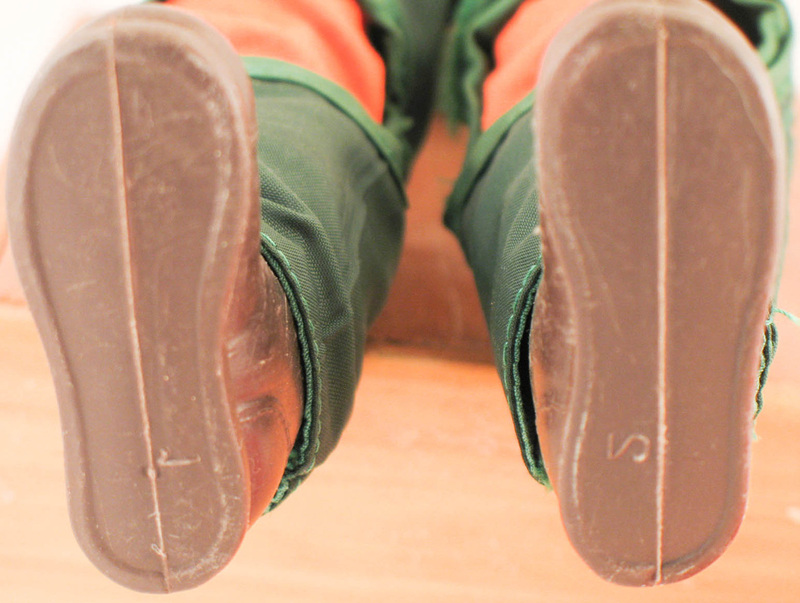 Bullet Man Boots- Made simply of a vinyl dip, like the coating found on some tool handles, Bullet Man's boots are a distinctive bright red. The UK Action Man version added cool rockets to the back. 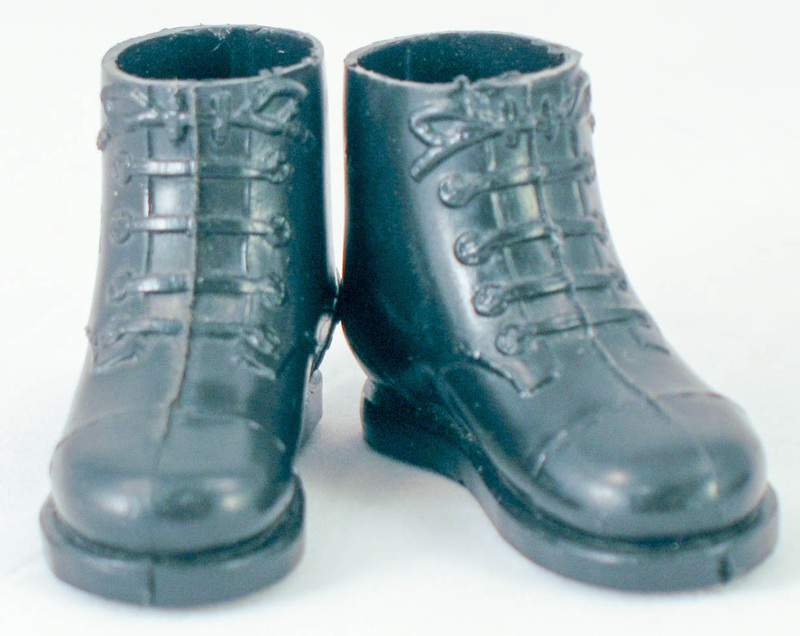 Short Black Japan Marked Boots-First issued in 1965 with Deep Sea Diver and Ski Patrol sets, these short black boots fit tightly on figures and work best with the 'baby feet' of first issue figures. They have narrow molded laces and flat bottoms. 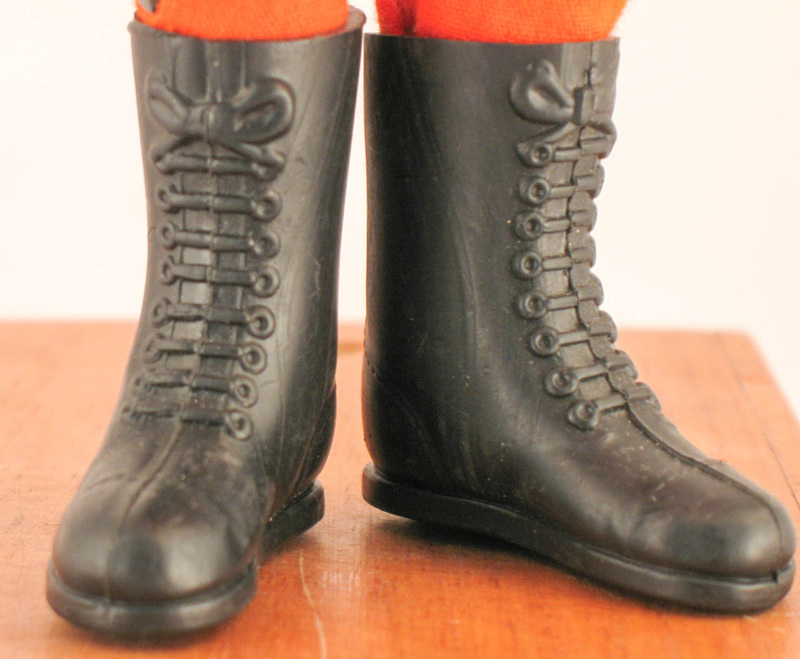 Short Black Notched Boots- These also showed up in 1965 are seen with Ski Patrol and Deep Sea Diver sets. The notch in the back may have been added because the boots were originally sculpted to fit 'baby feet' and were tough to get on and off the more detailed and larger later feet. They are generally marked "Hasbro Japan" on the soles. 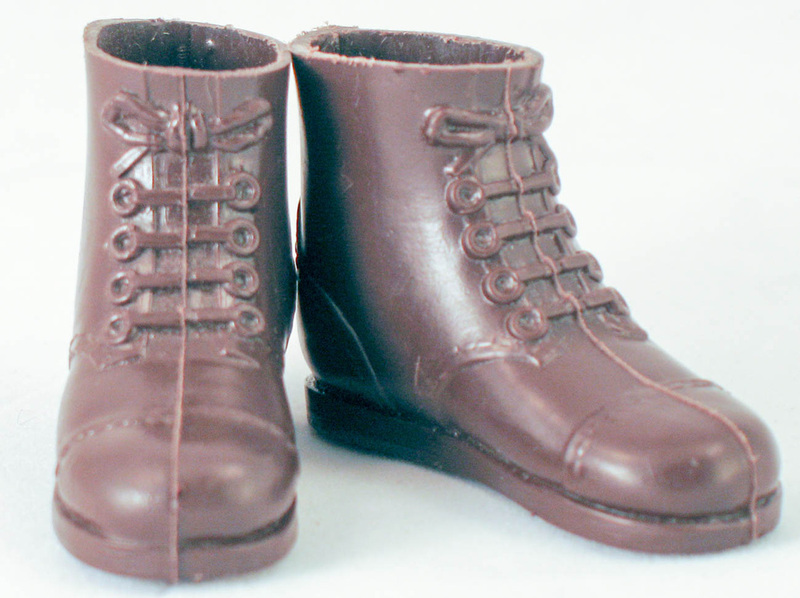 Standard Short Black and Short Brown Boots-These wide rimmed boots were part of the SOTW line. 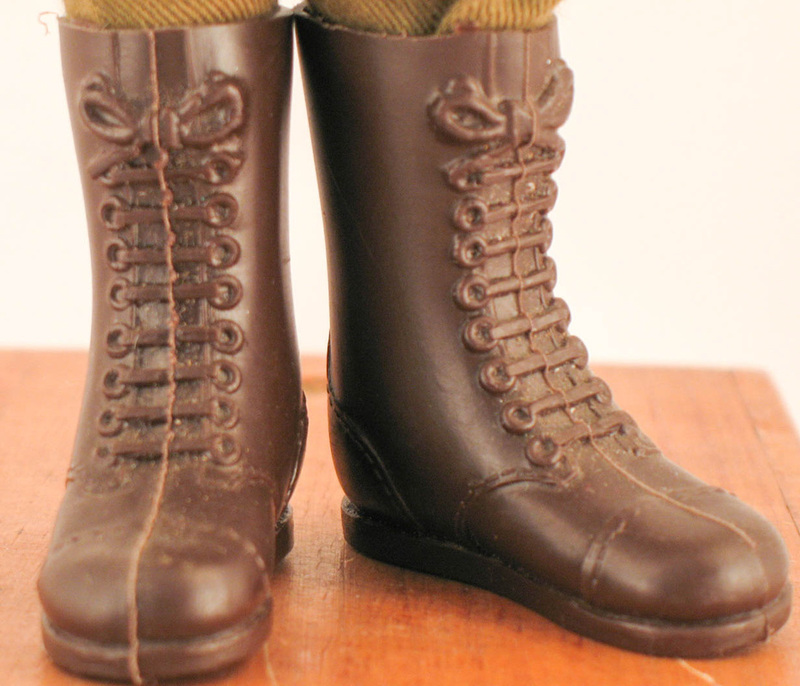 The short black boots came with the French Resistance figures, and the short brown with the British, Australian, and Japanese figures. 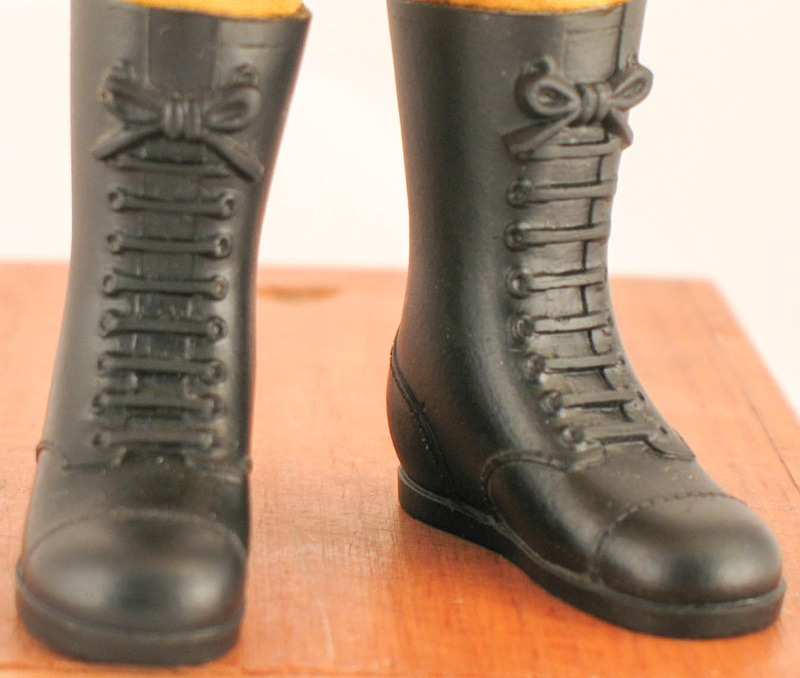 The short black boots became the standard issue figure boots by 1970 for the Adventure Team, but also commonly show up on late issue military figures and 1969 Adventures of GI Joe figures. 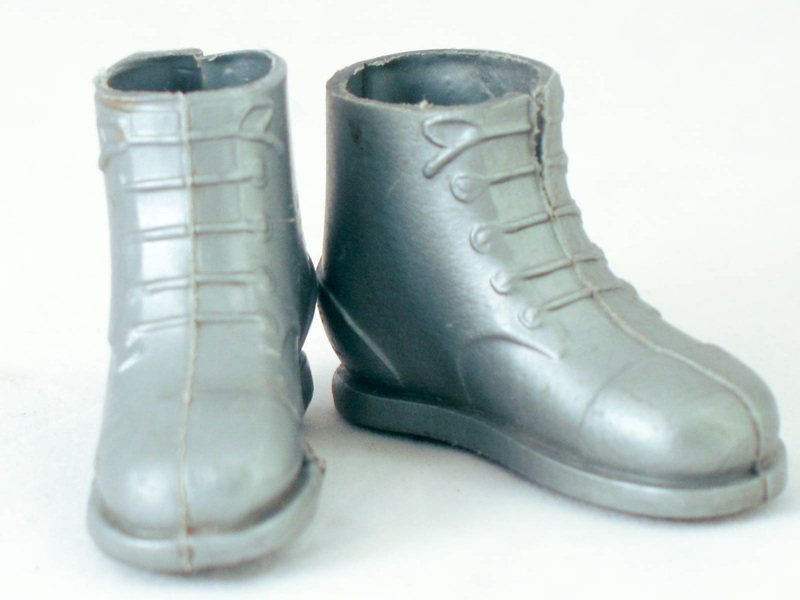 Short Silver Boots- The short silver boot was part of the 1966 Crash Crew fire fighter set. It reappeared in the 1970 Hidden Missile Discovery and Spacewalk Mystery sets. A numbered version shown below was in the 1969 versions of these sets. 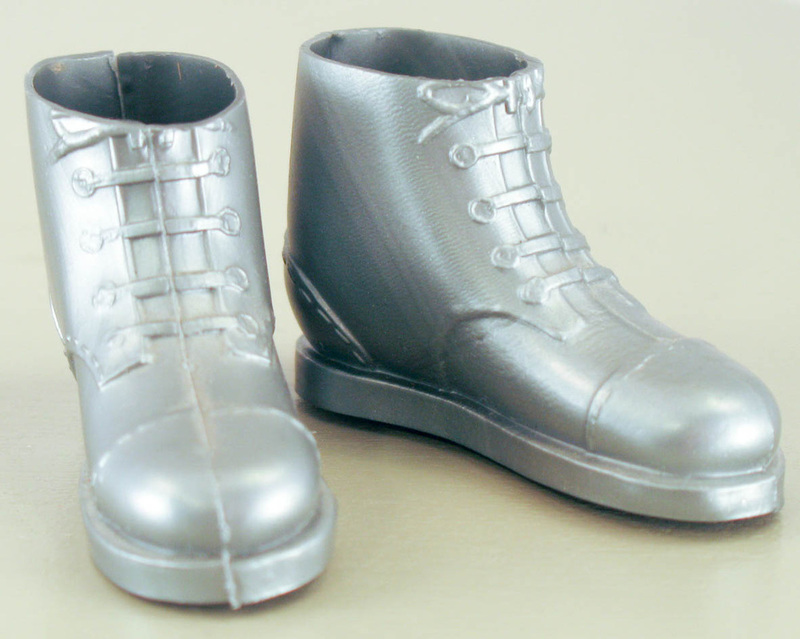 The silver boots have an annoying tendency to split along their seams, so take care putting them on figures. 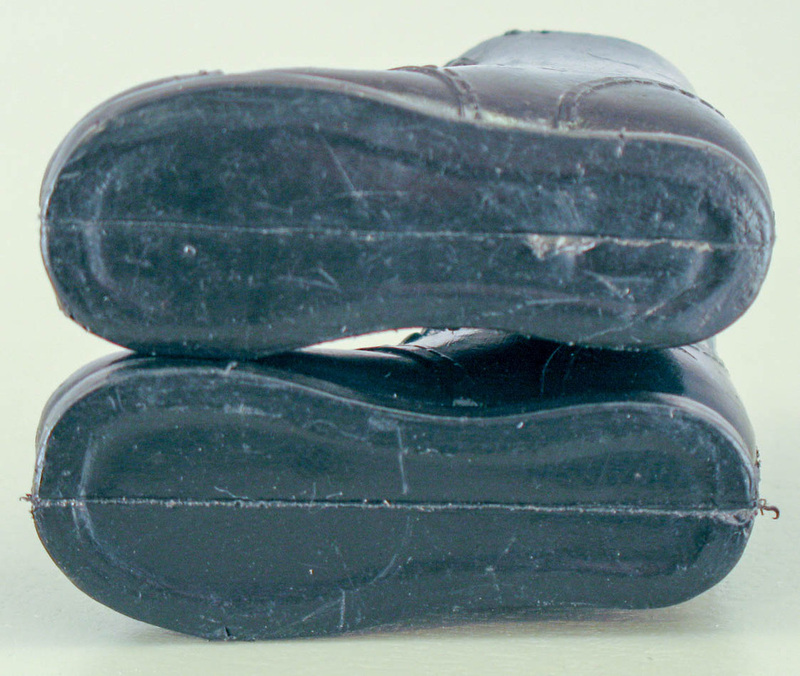 Those issued in 1968 may have small numbers 1 and 2 on the soles in a smaller font than the 1969 numbered type, as shown in the second set of photos below. 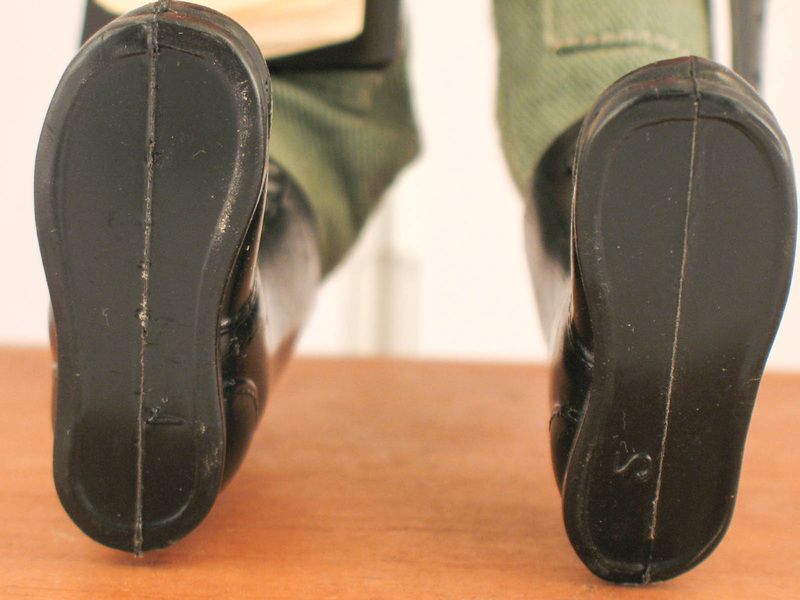 1969 Short Black, Brown and Silver Boots-The short boots issued with the 'Adventures of GI Joe' series are tight fits on figures and generally have 1 and 2 molded on the sole. Silver came with the space sets and Mysterious Explosion, brown with Mouth of Doom, and black with Spy Island and Eight Ropes of Danger. Late Issue Low-Detail Boots-These boots look as if they were pulled from worn molds, which they probably were. They show up frequently on Canadian figures and may have been sourced through Hasbro Canada. They were in certain sets at the same time standard wide rim short black boots were in others. The browns are commonly found with Fangs of the Cobra, Trapped in Coils of Doom, and Long Range Recon. Dress Shoes-Are found both with and without numbers. The numbered ones are likely later. They are found with Marine Dress uniforms, some early Shore Patrol sets, Air Force Dress, and the Cadet sets. 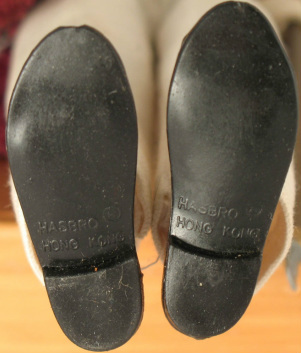 They are marked Hasbro Hong Kong on the sole. Made of a rubbery material they can shrink a bit and can also be susceptible to tears. Sneakers only came with one set, the Mike Power Secret Mountain Outpost. They are clearly an effort to enhance Mike's likeness to The Six Million Dollar Man who wore sneakers and a track suit (why didn't Hasbro make one of those?) on the TV show. Note they don't have a clearly defined left or right, making them easier to pack into the sets.